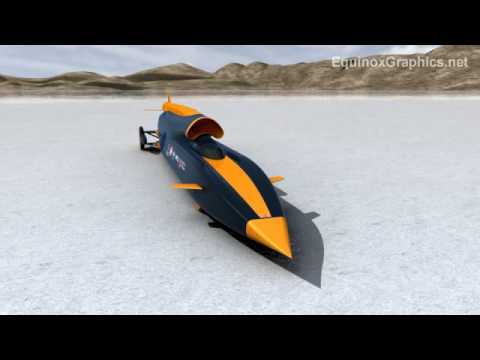 Bonneville Salt Flats: Gearing up for Everything Speed! Richard’s got the experience to do it too. 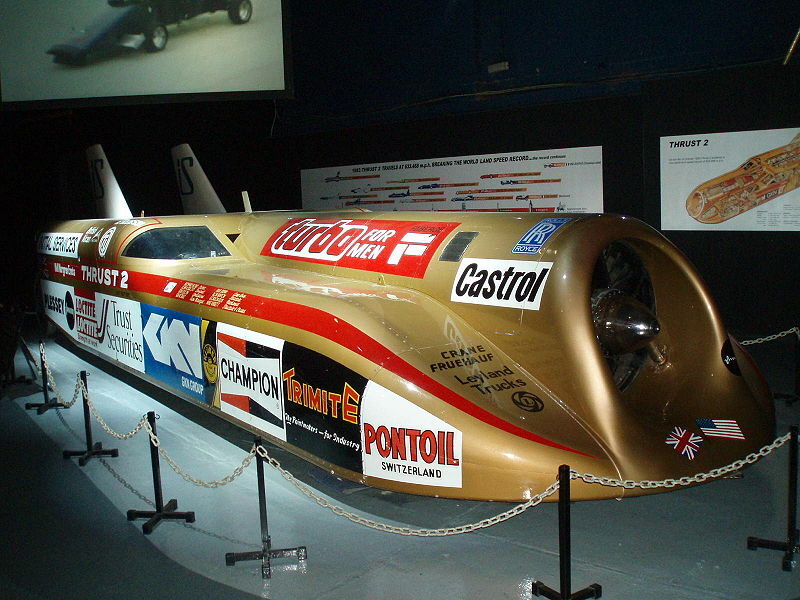 He held the land speed record from 1983 to 1997 driving Thrust2 on the Black Rock Desert in Nevada. His record was a mere 633mph. 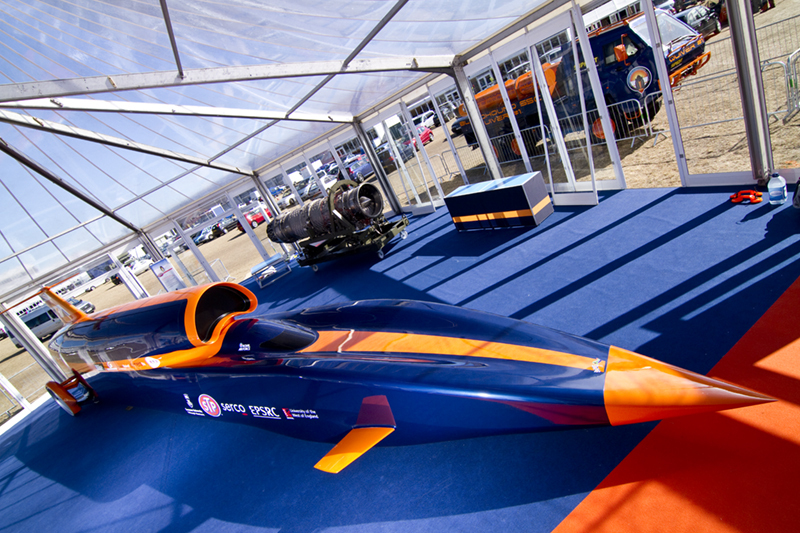 Now, the team led by Noble’s looking to blow past the record of ThrustSSC at 763mph and break 1000mph. If they can do it, they’ll be the second car ever to break the sound barrier. I can’t get enough. But I’d rather see a wheel driven car set a record. Next I’ll have to find some info and video for the Railton Special, the Bluebird-Proteus CN7 and the “White Triplex” from back in 1928, the last time the USA held the land speed record for wheel driven cars. I agree about the wheel-driven cars (although the clutchless White Triplex sounded very hairy) I think the USA currently holds the land speed record for wheel-driven cars. There are various arcane categories, but Goldenrod, Spirit of ’76 and the Turbinator all hold current ones, with Turbinator’s standing at 470 mph.